28 stitches and 36 rows to 10 cm. (4 inches) on a 3.25 mm (US 3) needle. Falkland Fine Merino 4 Ply. The long staple length of this fibre has produced a luxurious and durable single style yarn. With 490m in a 100g skein this yarn will be perfect for many one skein projects. Being non superwash treated it will be suitable for knitting, machine knitting, crochet and felting. This entry was posted in Latest News at The Yarn Gallery and tagged hand dyed yarn, yarn. 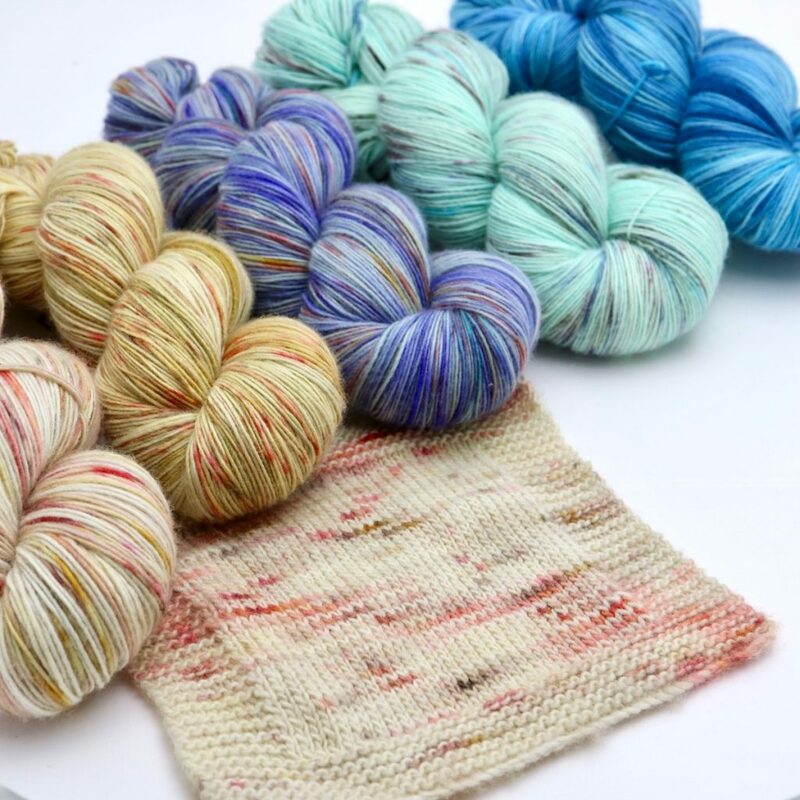 Paula has been producing hand dyed yarns for hand and machine knitting for over 15 years. Design and making hand framed knitwear for over 25 years.